Cigarette lighter illuminates JDC’s work in the DP era. Cigarette lighters, also called Zippos, were popular and abundant in the 1940’s. 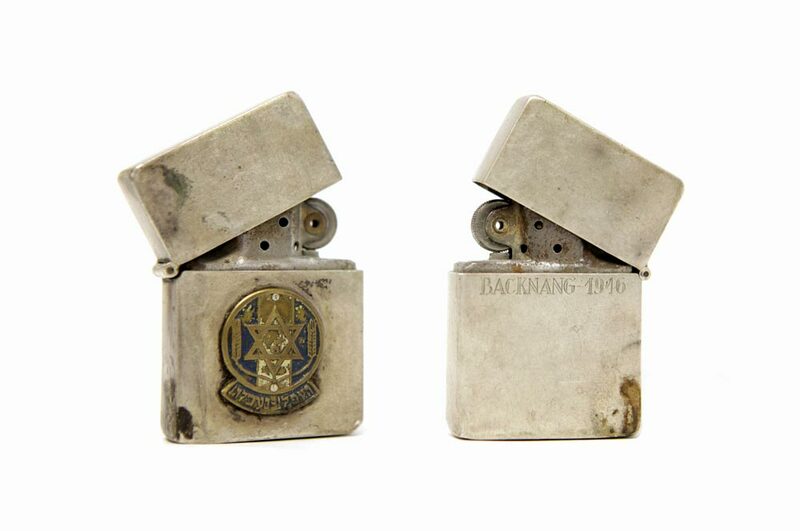 In fact, the company itself solely manufactured for the US military during World War II, with official lighters boasting unit crests and division insignia. As smoking was a cultural norm, lighters were used daily out of necessity, allotting ample time to display their faces and thus identify their owners. When lit, the badges were illuminated, signaling others with silent messages of contact. In the postwar period, cigarettes were considered a valuable commodity used as currency. One very special cigarette lighter was recently donated to the JDC Archives by Sheila Spiro, the stepdaughter of Joseph Fink, a former JDC staff member. She recounts that “Joe often said that he was grateful to the Joint for giving him the opportunity to help so many people.” Joe Fink was Director of AJDC Berlin in the late 1940’s; passionate about his work in the displaced persons camps and an ardent advocate for refugees. 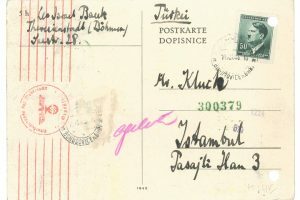 JDC partnered with other relief organizations to provide food, clothing, equipment, and emigration assistance to survivors in the DP camps, including Backnang, whose name is engraved on the back of the lighter. Backnang, situated near Stuttgart, was home to around 500 Jewish displaced persons in 1946. 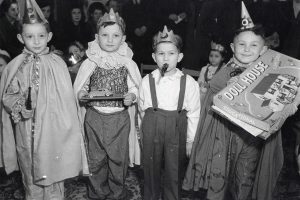 At Backnang, JDC helped establish vocational programs and schools, and even sent a Sefer Torah along with Yiddish newspapers to the inhabitants. A group of boys from the Backnang DP camp gave Joe the lighter as a token of thanks for helping them escape over the Italian mountains and join the Bricha movement, the organized, illegal emigration from Eastern Europe into the Allied-occupied zones and Palestine in the postwar period. 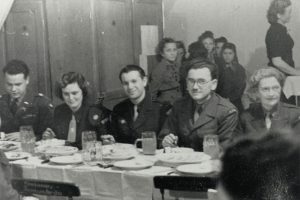 The “boys” were most likely survivors originating from Eastern Europe, attested to in a letter Joe wrote to the Joint, dated November 25, 1945, in which he relays that most of the DP’s he worked with were from Radom, Poland. The motto on the front of the lighter reads העפל נעפלה, “ha’apel na’apela,” which loosely translates to “Let’s run the British blockade,” a saying that embodies the determined spirit of Jewish refugees attempting to enter Palestine. Accompanying the words, the symbol on the façade appears to be an amalgamation of two organizations. The two sheaves of wheat, which usually sandwich a sword, represent the emblem of the Palmach, the elite corps of the Haganah, the underground army of Jewish settlers, established in 1941. The yellow Jewish Star superimposed on three bands of blue and white, stands for the Jewish Infantry Brigade Group, a military formation of the British Army composed of Jews from the Yishuv. It was formed in late 1944, and some members assisted survivors to emigrate illegally as part of Aliyah Bet. The essence of the Bricha movement is engraved on the lighter’s surface, signifying the makers’ journey. It’s clear that with this gift, Joe was symbolically linked to the formation of the State of Israel and the hopeful future of survivors after the war. 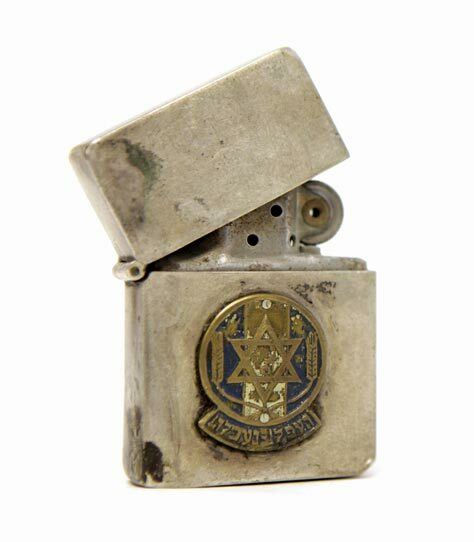 Though at first glance, a utilitarian object, this lighter not only illuminates an important era of Jewish history in the postwar period, but also represents the impact of JDC’s operations. While JDC’s aid can be viewed in numbers and statistics, this lighter reminds us that each JDC staff worker and aid recipient had a story and with each individual, the power to contribute to the survival and history of the Jewish people. To learn more about JDC’s activities in the DP camps, explore our topic guide on the subject. Do you have any artifacts with a JDC connection? Please contact us at archives@jdc.org. We’d love to hear about your own pieces of history. Sheila Spiro lives in California. This story has been shared with her permission.